This is a BRAND NEW set of LEGO® Friends 41351 Creative Tuning Shop from 2018. This set is still factory sealed and the box is in very good condition with minor shelf wear. 413 pieces and 2 minifigures©. 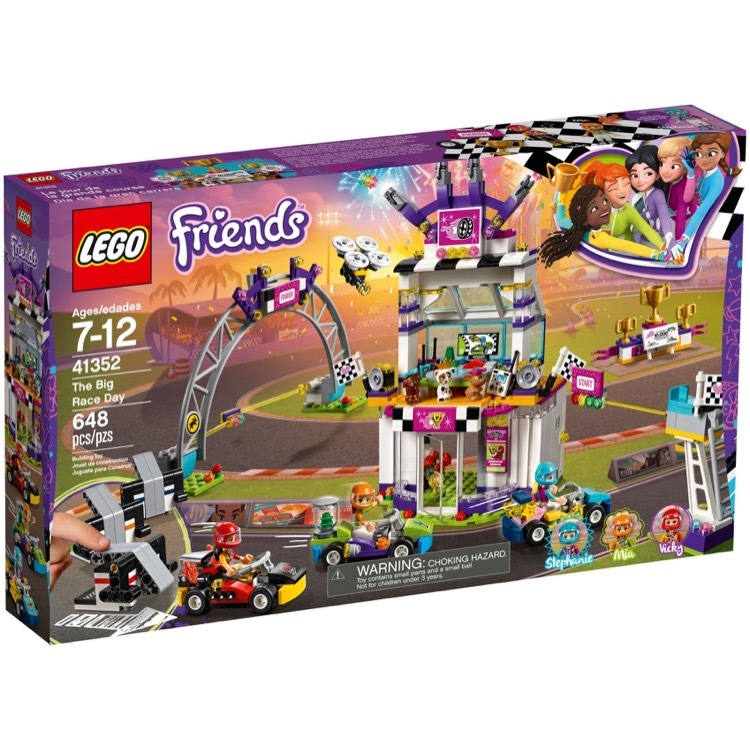 This is a BRAND NEW set of LEGO® Friends 41352 The Big Race Day from 2018. This set is still factory sealed and the box is in very good condition with minor shelf wear. 648 pieces and 3 minifigures©. This is a BRAND NEW set of LEGO® Friends 41133 Amusement Park Bumper Cars from 2016.This set is still factory sealed, however the box you receive may have one or more of the following conditions; small area of sticker damage, wrinkles, creases, dents and shelf wear. 424 pieces and 2 minifigures©. 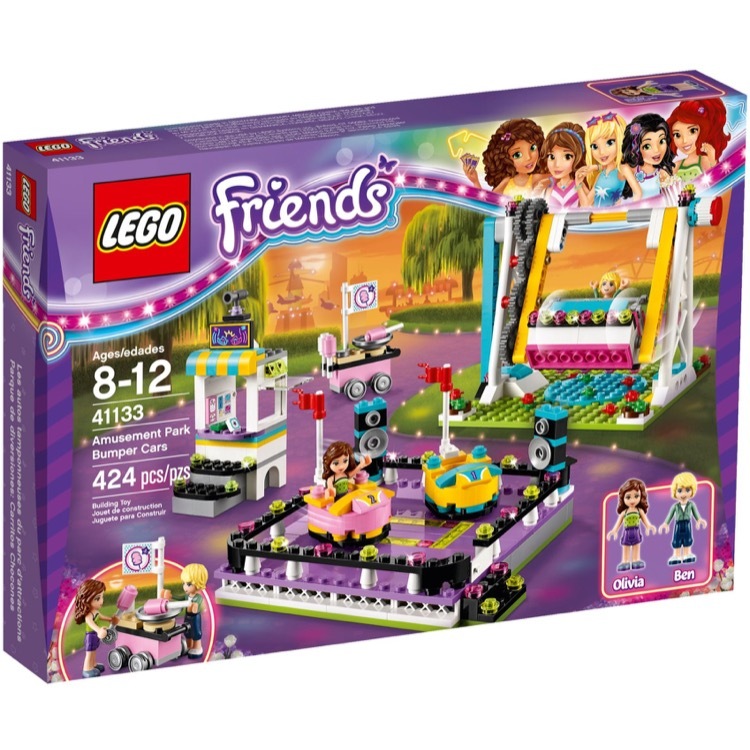 This is a BRAND NEW polybag set of LEGO® Friends 30403 Olivia's Remote Control Boat from 2018. This polybag set is still factory sealed and is in very good condition. 25 pieces and 1 minifigure©. 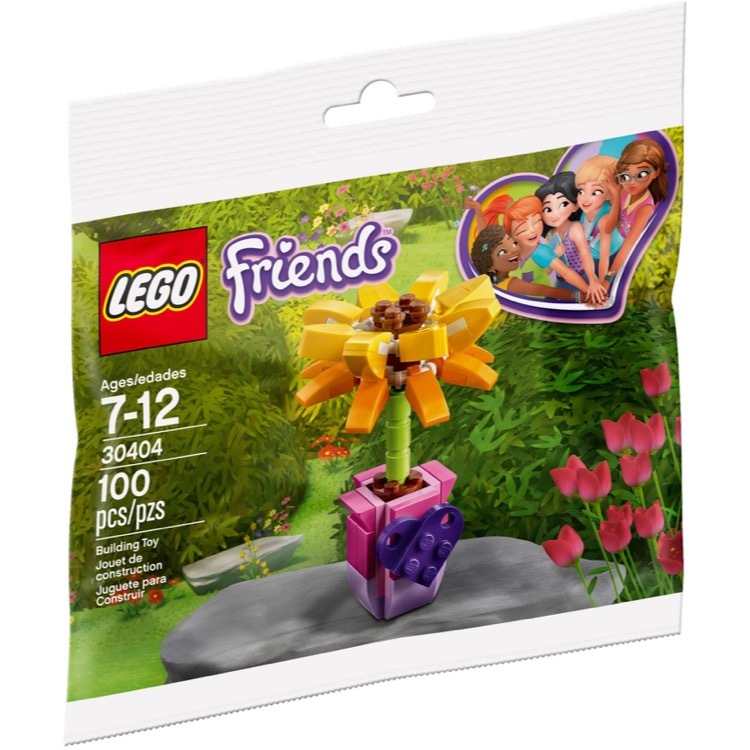 This is a BRAND NEW polybag set of LEGO® Friends 30404 Friendship Flower from 2018. This polybag set is still factory sealed and is in very good condition. 100 pieces and no minifigures©. This is a BRAND NEW polybag set of LEGO® Friends 30405 Stephanie's Hockey Practice from 2018. This polybag set is still factory sealed and is in very good condition. 35 pieces and 1 minifigure©. 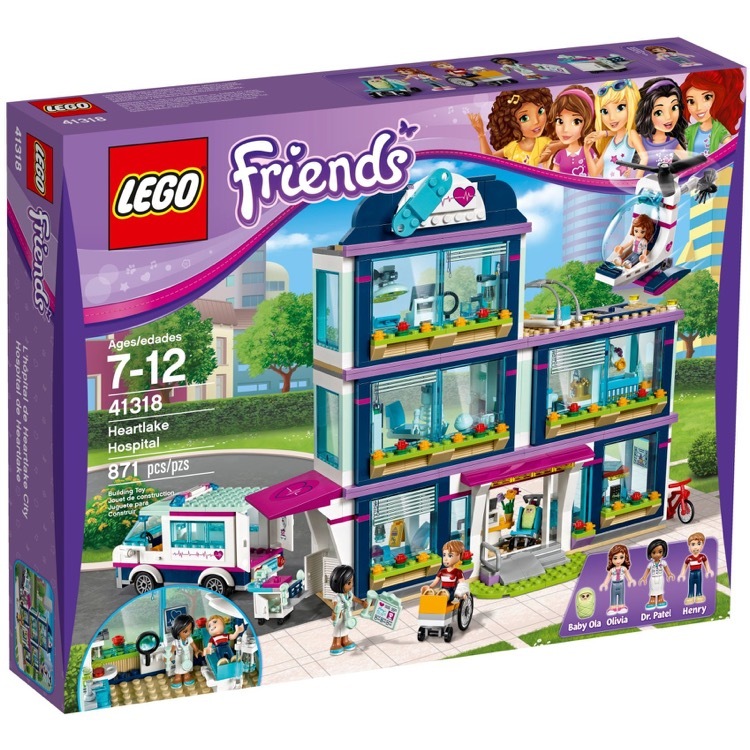 This is a BRAND NEW set of LEGO® Friends 41318 Heartlake Hospital from 2017. This set is brand new, however the box you receive may have one or more of the following conditions; broken seal(s), crushed or punctured box, sticker damage, heavy creases, wrinkles, dents and shelf wear. 871 pieces and 3 mini-doll figures. 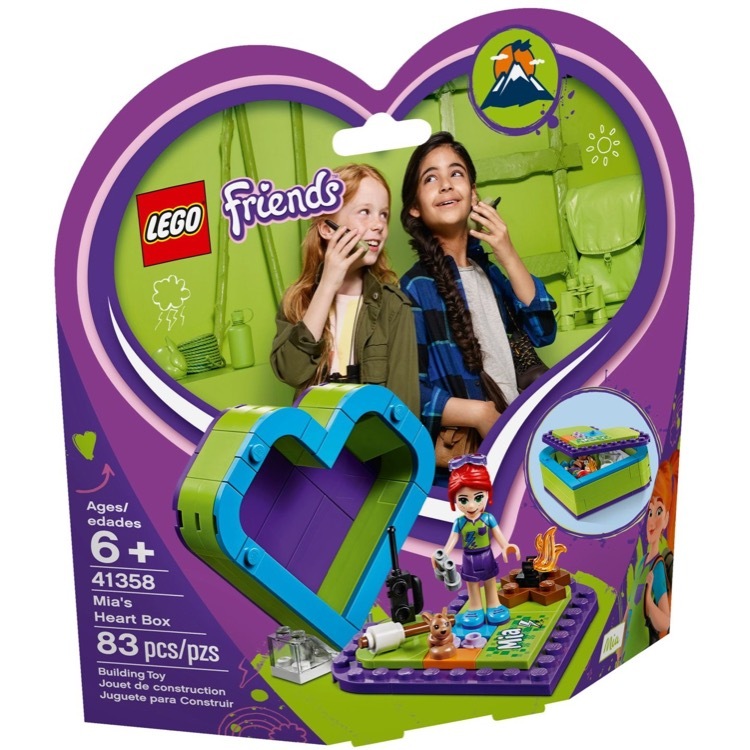 This is a BRAND NEW set of LEGO® Friends 41354 Andrea's Heart Box from 2019. This set is still factory sealed and the box is in very good condition with minor shelf wear. 84 pieces and 1 minifigure©. 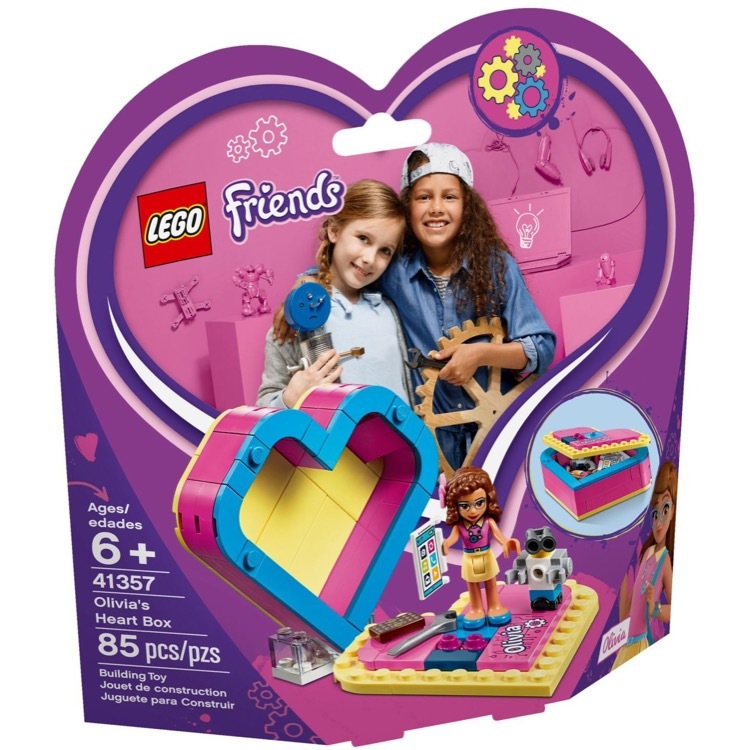 This is a BRAND NEW set of LEGO® Friends 41355 Emma's Heart Box from 2019. This set is still factory sealed and the box is in very good condition with minor shelf wear. 85 pieces and 1 minifigure©. 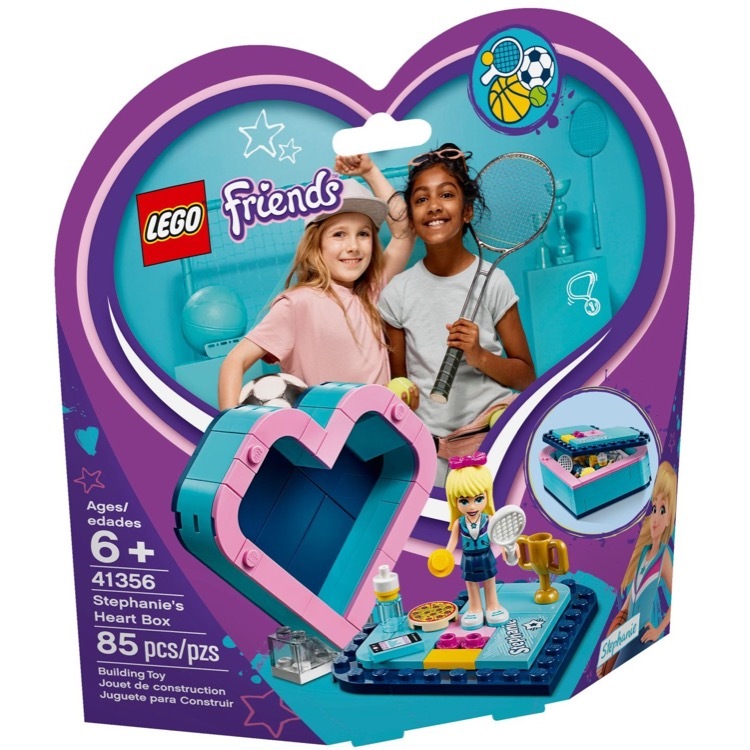 This is a BRAND NEW set of LEGO® Friends 41356 Stephanie's Heart Box from 2019. This set is still factory sealed and the box is in very good condition with minor shelf wear. 85 pieces and 1 minifigure©. 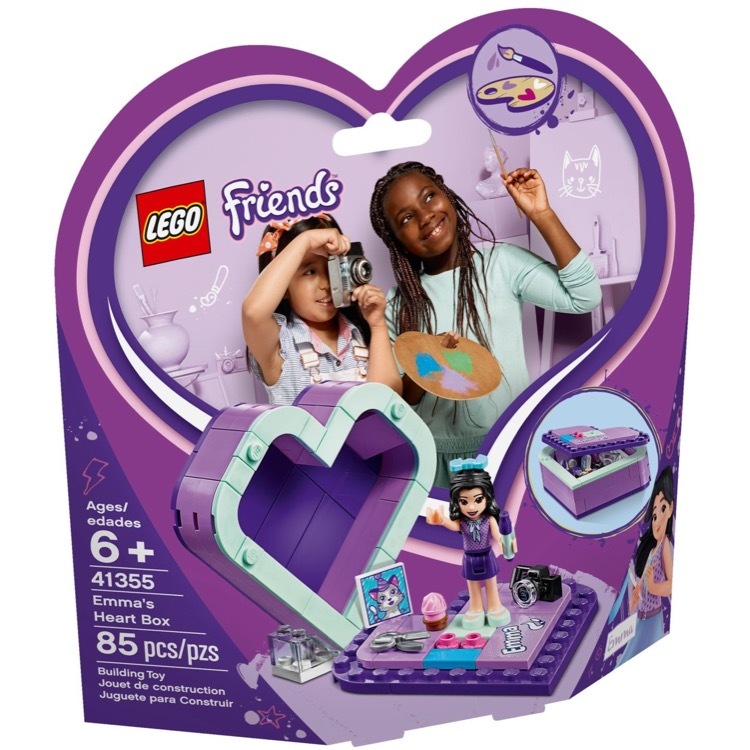 This is a BRAND NEW set of LEGO® Friends 41357 Olivia's Heart Box from 2019. This set is still factory sealed and the box is in very good condition with minor shelf wear. 85 pieces and 1 minifigure©. 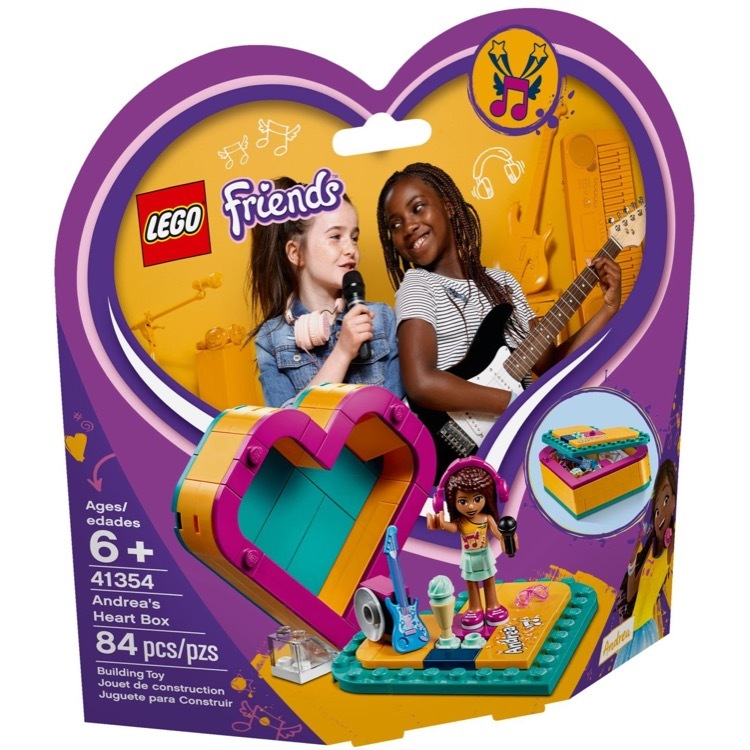 This is a BRAND NEW set of LEGO® Friends 41358 Mia's Heart Box from 2019. This set is still factory sealed and the box is in very good condition with minor shelf wear. 83 pieces and 1 minifigure©.